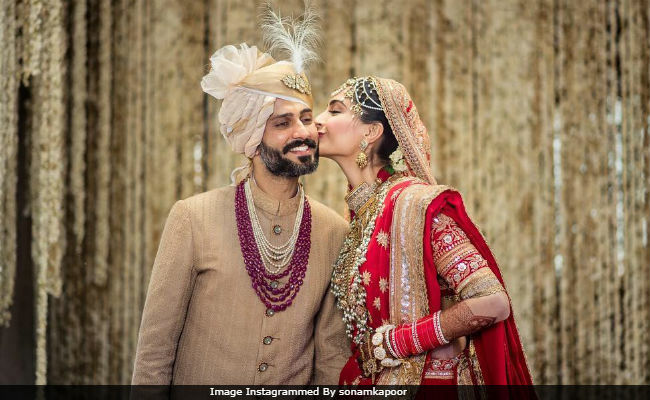 Actress Sonam Kapoor, who wrapped up her Cannes Film Festival duties on Tuesday, celebrated her wedding to Anand Ahuja in the French Riviera by cutting a cake. 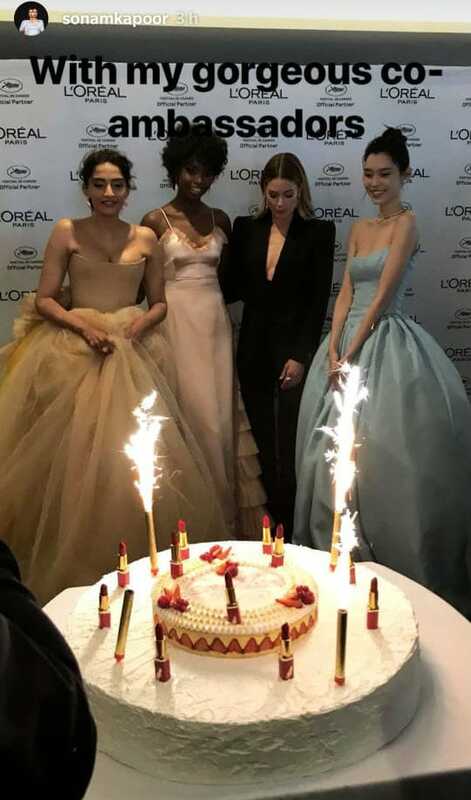 Sonam, 32, posted pictures from the celebrations on her Instagram story and was accompanied by her co-ambassadors of cosmetic giant L'Oreal. "Anand Ahuja, this was for us," she captioned one of the posts. Sonam walked the red carpet on Monday and Tuesday and made the spotlight follow her on both the days. She married businessman Anand Ahuja in Mumbai on May 8. The couple had also hosted a starry wedding reception on the same day. Last weekend, the couple flew to Delhi, Anand's hometown and after a brief stay, Sonam flew to the French Riviera from there. See how Sonam celebrated her wedding in the French Riviera. Sonam's red carpet appearances were every bit stunning. On Day 1, she turned heads in an off-white embellished lehenga by Ralph and Russo. She braided her hair and accentuated her look with a naga jadai, a pair of studs and her wedding ring. She made her finale appearance in a beige summer ball gown, from the studios of US-based designer Vera Wang. The L'Oreal ambassador made several appearances in her two-day stay at the French Riviera. Before Sonam Kapoor, actress Deepika Padukone and Aishwarya Rai Bachchan walked on the Cannes red carpet for L'Oreal. Sonam has been a part of the Cannes Film Festival for eight years now. Once home, Sonam will get busy with the promotions of her forthcoming film Veere Di Wedding.